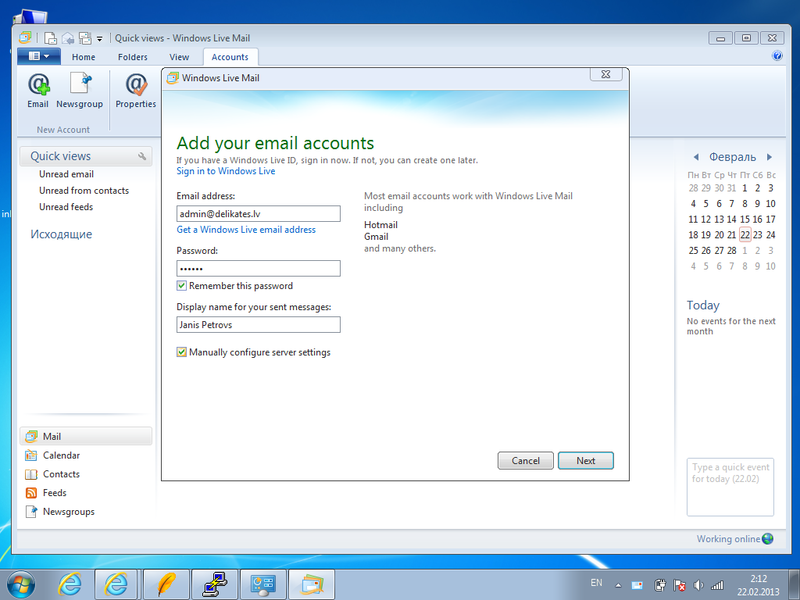 In the "Email address" enter Your e-mail address, in the field "Password" - Your password. If You want to save Your password, check the box next to "Remember this password". In the "Display name for your sent messages" write Your name (which will be seen by the recipient). Check the box next to "Manually configure server settings". 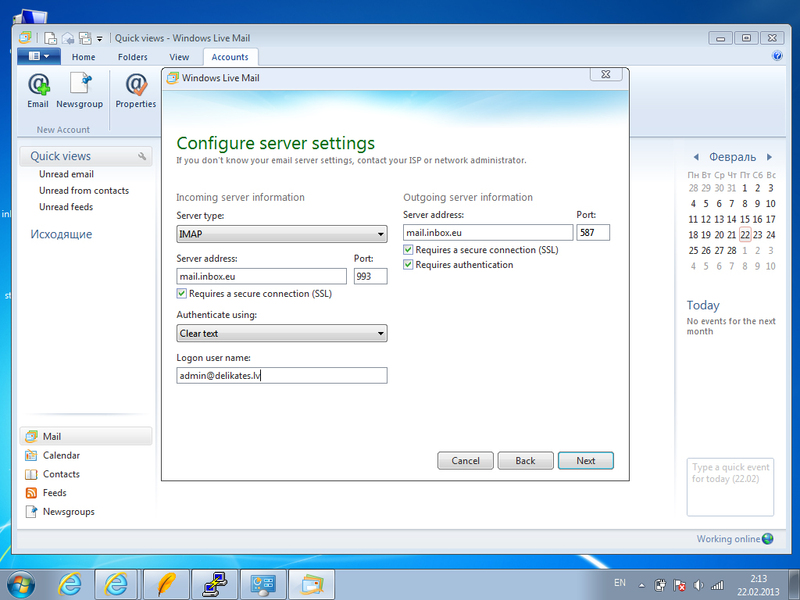 In the column "Incoming server information" from the "Server type" drop down list select the IMAP protocol. In the "Server address" enter "mail.inbox.lv", in the "Port" enter "993", check the box next to "Require a secure connection (SSL)". From the "Authenticate using" drop-down list select "Clear text". 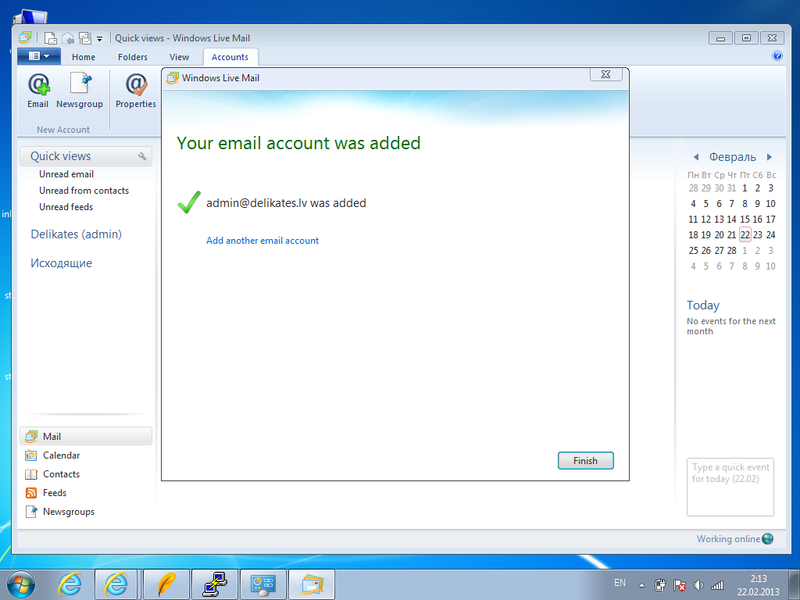 In the "Logon user name" enter Your e-mail address. In the column "Outgoing server information", in the "Server address" enter "mail.inbox.lv", in the "Port" enter "587" (recommended) or "25", check the box next to "Requires a secure connection (SSL )" and "Requires authentication". To create and save Your account settings, click "Next". To close the Account Wizard, click "Finish".